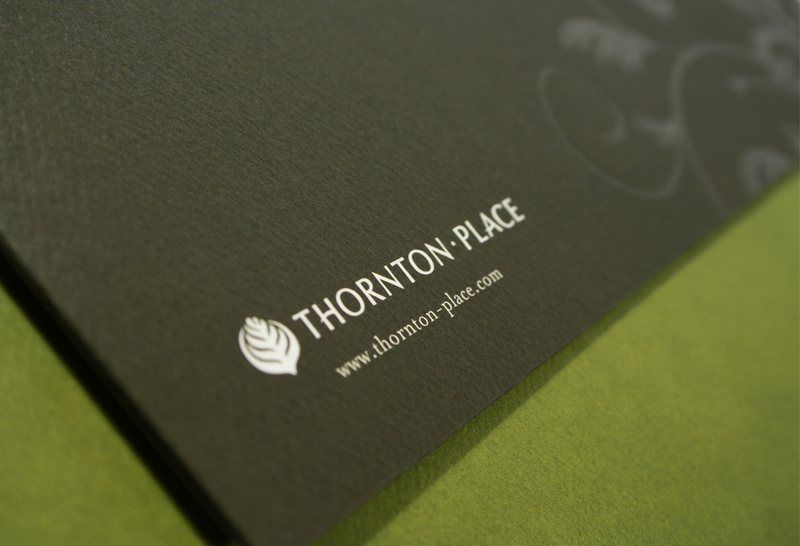 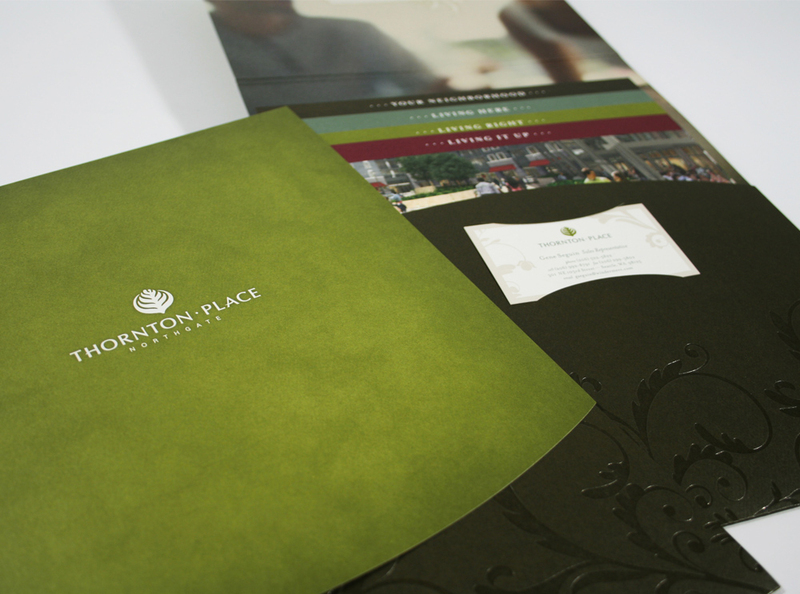 Collateral & brand identity system that includes a brochure detailing the amenities of the condos, apartments and retail spaces of this Northgate urban village. 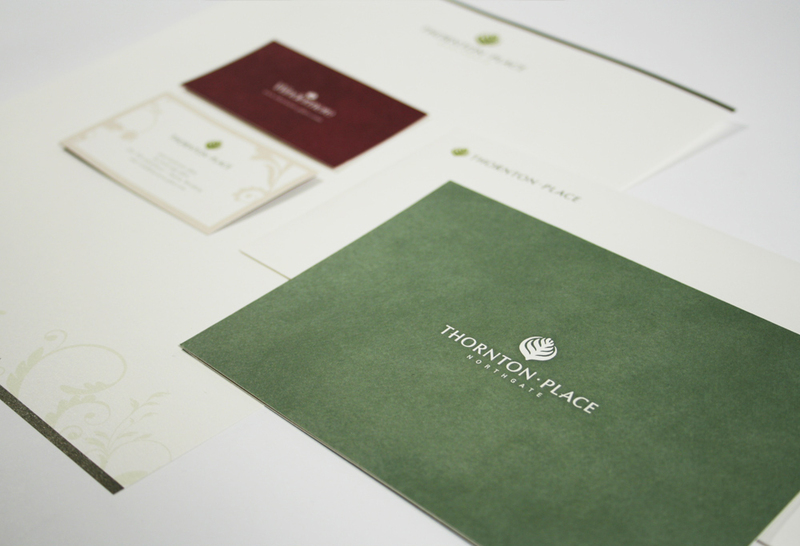 Other pieces included letterhead, business cards and envelopes. 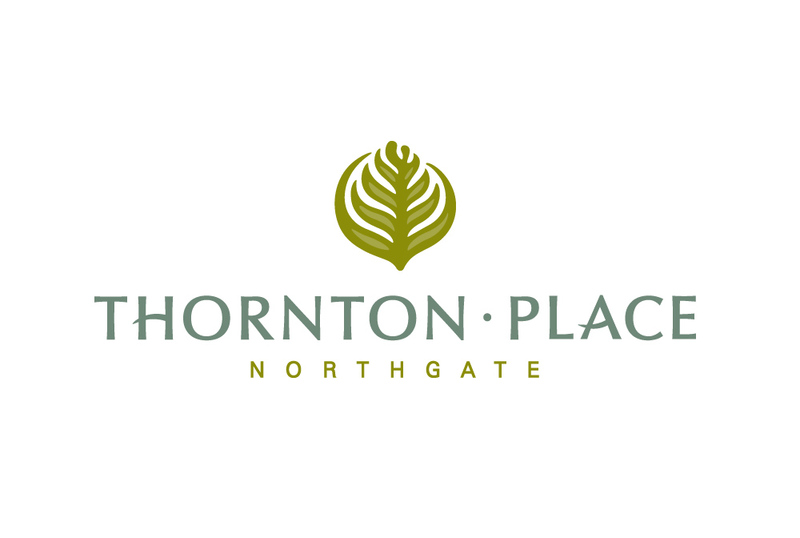 Logo for an urban village that includes shops, condominiums and a theatre in a park-like setting.